by Butterbot Posted 28th Apr 2018 at 5:03 AM - Updated 29th May 2018 at 10:07 PM by Butterbot : Updated file. Removed interaction from ServingContainerGroup instances that are sometimes spawned when cooking is interrupted, uncut wedding cakes, and birthday cakes with intact candles. The number of single servings resulting from the split depends on the number of servings contained in the group meal. 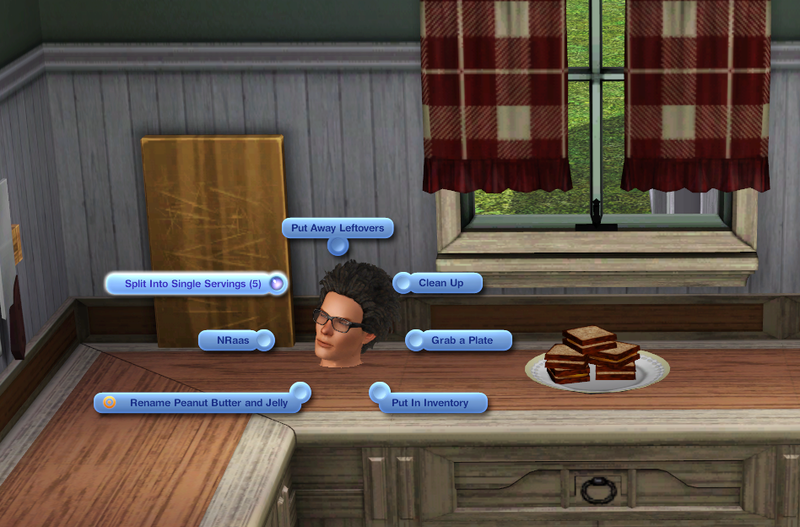 The interaction is disabled on group meals with only one remaining serving, buffet table meals, or meals placed onto The Sims 3 Store's Baker's Bazaar displays. It can be run by human (non-pet) sims aged child and older. Install mod as usual into Mods/Packages folder. Uninstall by removing it from the Mods/Packages folder and deleting scriptCache.package.